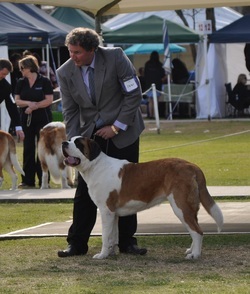 Jamie has exhibited St Bernards for over 20 years, consistently handling winning dogs over this time to Group and Best in Show levels across the east coast of Australia at both Specialty and All Breeds shows. 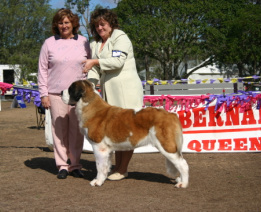 Having handled many dogs to Australian Championship and Grand Champion Status. 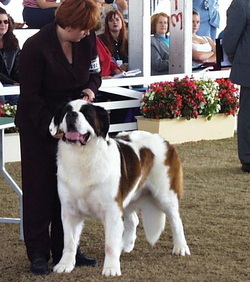 He has handled Bullmastifs, Boxers, Great Danes and Leonbergers for other owners and exhibitors. Jamie has also trained and obedience trialed St Bernards to Companion Dog level. Casperscove trained St Bernards are used regularly for promotional activities and commercials. 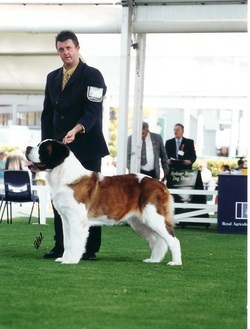 Sandi has exhibited St Bernards for over 12 years. 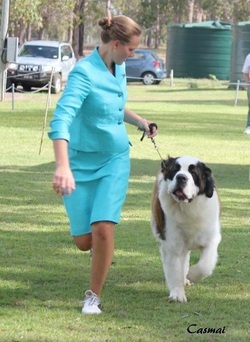 She has been handling Casperscove St Bernards since 2005 and has handled Australias only Brother (Supreme Ch Mixtemotions) and Sister (Aust Grand Champion Hot Gossip) combination to Australian Grand Champion status. Her ongoing success in the showring displays her commitment to grooming and handling quality dogs. Alex is a new exhibitor and has made Caspercove proud whilst exhibiting Casperscove Echo (Iggy). With little direct support she has taken to showing by watching and learning from others. We look forward to seeing Alex progress and witnessing her continued enjoyment whislt showing Iggy. Olivia started showing dogs at 11 years old, since then she has become known as one of Australias most promising junior handlers. She now proudly exhibits Casperscove St Bernards alongside Brian and Sandi Paull in Queensland. Congratulations from Tracy, Jamie and the Casperscove team on Olivias recent win to become Queensland Junior Handler (13-18 Years) State Final Winner For 2011. Currently showing Casperscove Madam Butterfly (16mths) Olivia is running rings around her competition. 2nd 2008 Adelaide 10-13 Years. 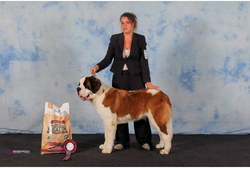 Tracy is an accomplished handler of St Bernards. Casperscove ongoing success in the show ring is testiment to Tracy's grooming and preparation.